39 Ilala, Simbithi near the sea - Chakas Rock / Shakas Rock Accommodation. It offers the perfect opportunity to experience everything the KZN North Coast has to offer including quiet wildlife, trail and mountain bike, exhilarating surf, world-class shopping and great golf. The apartment can accommodate up to 6 guests and comprises 2 bedrooms, 2 full bathrooms, and a kitchen and living area. The main and second bedroom contains queen beds, while the third bedroom contains 2 single beds. The main bedroom has a flat-screen TV with a full selection of DStv channels. The spacious kitchen is fully equipped for self-catering and contains a stove, oven, fridge-freezer, microwave, and cutlery and crockery. A separate scullery is fitted with a dishwasher. The dining area has seating space for 6 people, while the lounge has a comfy lounge suite and a flat-screen TV with a full selection of DStv channels. There are fans in each of the bedrooms and 2 in the lounge. The apartment has a patio which has both a covered and open area to sit in the sun. There is a lounge and dining area on the patio. A gas braai and also a Weber kettle braai are provided. The garage is piped for the washing machine and sink. It also has a tumble dryer, washing line and an extra fridge. Communal braai facilities by the pool and tennis court in Ilala and also within Simbithi's club house and numerous community areas. This is not a serviced apartment. There is a weekly linen change, but a maid can be arranged for the clients account. 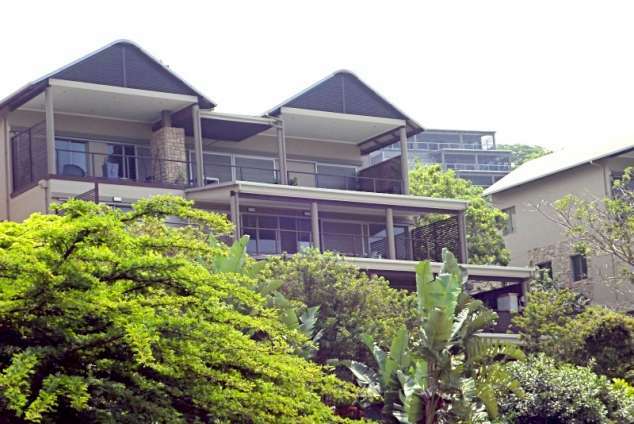 It is an easy 20 minute drive to the north from King Shaka International Airport, and 30 minutes south to Durban North. Day trips to Hluhluwe Game Reserve are a few hours away. 3708 page views since 02 Oct, 2017. Last updated on 27 Feb, 2019.